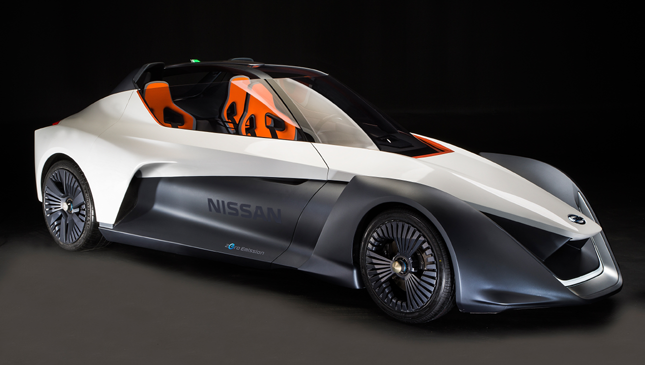 By now, you may have heard about Nissan’s Intelligent Mobility philosophy. The Japanese carmaker has been making quite a lot of noise about what it believes is the future of motoring. But what exactly is Intelligent Mobility? 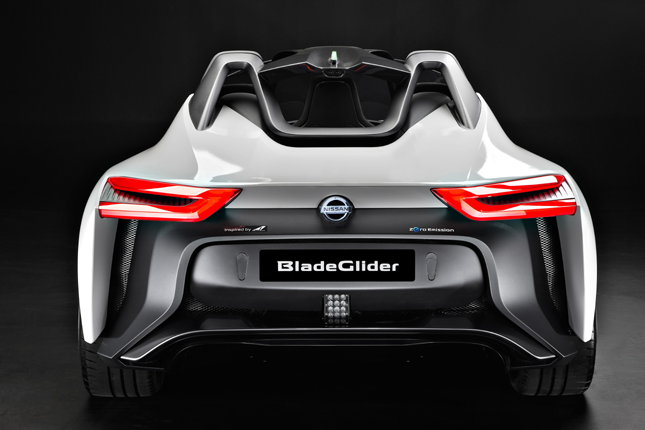 The philosophy can be summed up in a concept car known as BladeGlider. First seen at the 2013 Tokyo Motor Show, the car has undergone further development to make it sportier and more environment-friendly. The body, for instance, possesses a narrow front track that widens as you move rearward, giving it better stability. Adding to the coolness factor is the open cockpit design and the rear-hinged dihedral doors. 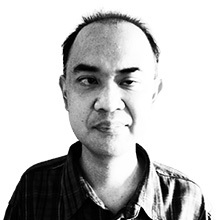 The former gives the feeling of being in an open-top sports car. To ensure safety, rollover protection is included in the mix. 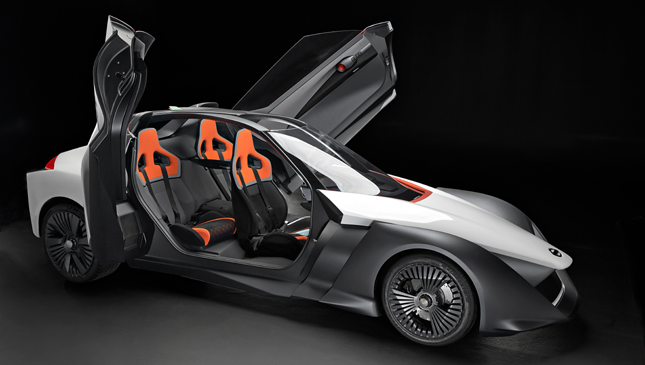 Once inside, occupants are greeted by a futuristic cabin that boasts wheel-mounted controls and gauges that show information like speed, regenerative braking, battery charge, and torque mapping. Then there's the rearview monitor that displays a feed from cameras mounted behind the front wheels. These are meant to replace the conventional rearview mirrors. Despite its sporty demeanor, passengers can sit comfortably on chairs clad in fabric and epoxy resin coating. They promise exceptional support and grip and sport a chic Cyber Green and Stealth Orange design on the upper portion. 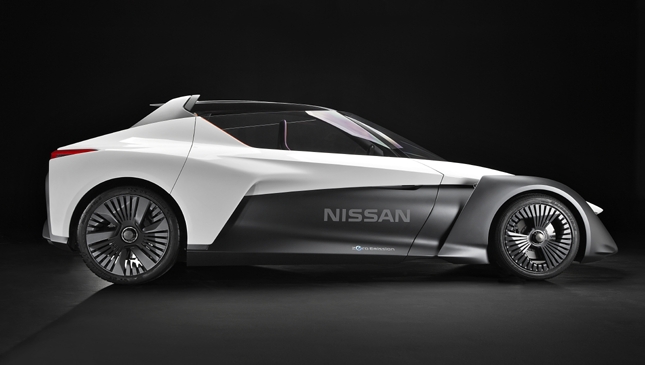 For the powertrain, Nissan enlisted the help of UK-based Williams Advanced Engineering. The 100% electric motor puts out 200kw (or the equivalent of 268hp) and 707Nm. This is enough to propel the BladeGlider to 100kph from rest in less than five seconds, as well as a top speed of 190kph. The fun factor is heightened by two 130kw electric motors mounted on each rear wheel. This provides additional juice while acting as a torque vectoring system, providing outstanding handling in any given driving condition. 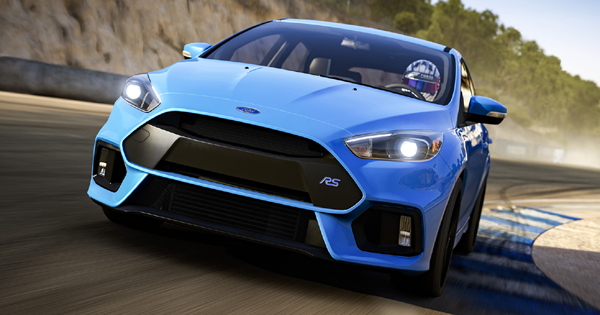 What’s more, drivers can choose between three modes: off, agile, and drift. 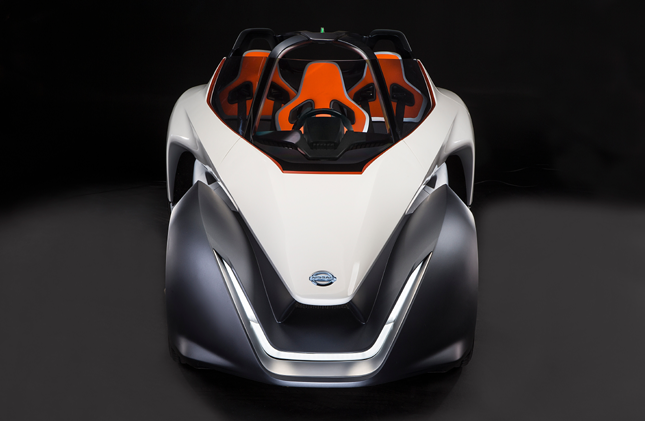 The Japanese carmaker will be showing off the BladeGlider in Rio de Janeiro, along with other innovative concepts. In fact, they will have two examples on hand—one of which can be taken for a ride by media and VIPs. If this is the future of motoring, we can’t wait for tomorrow to arrive.